Windows Vista may only have been out for two weeks, but Microsoft is already planning its successor, dubbed Windows Vienna. Microsoft says the new operating system will be finished in 2009. The Windows Vienna codename has been in use by Microsoft internally since 2000. However Ben Fathi, who's in charge of the development of Vienna's core components, won't reveal what the official name will be. "We've been told not to use it publicly," Fathi told attendees at the RSA Conference in San Francisco. 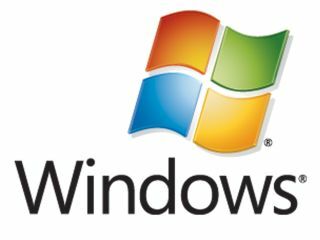 According to Fathi, the development of Windows Vienna will take about as long as the period between Windows XP Service Pack 2 and Windows Vista - in other words about two and a half years. If this timeline is accurate, Windows Vienna could be on sale by the end of 2009. This would mean a considerably faster turn-around time than the five years plus it took Microsoft to go from Windows XP to Windows Vista. It's too early to say what functions will be featured in Windows Vienna, but Fathi said there will be some fundamental changes. "Over the next few months I think you're going to start hearing more and more," Fathi told PC World magazine. Speculations suggest that voice recognition will play a much bigger part in Windows Vienna, which may also get a radical new user interface that's been developed from scratch.